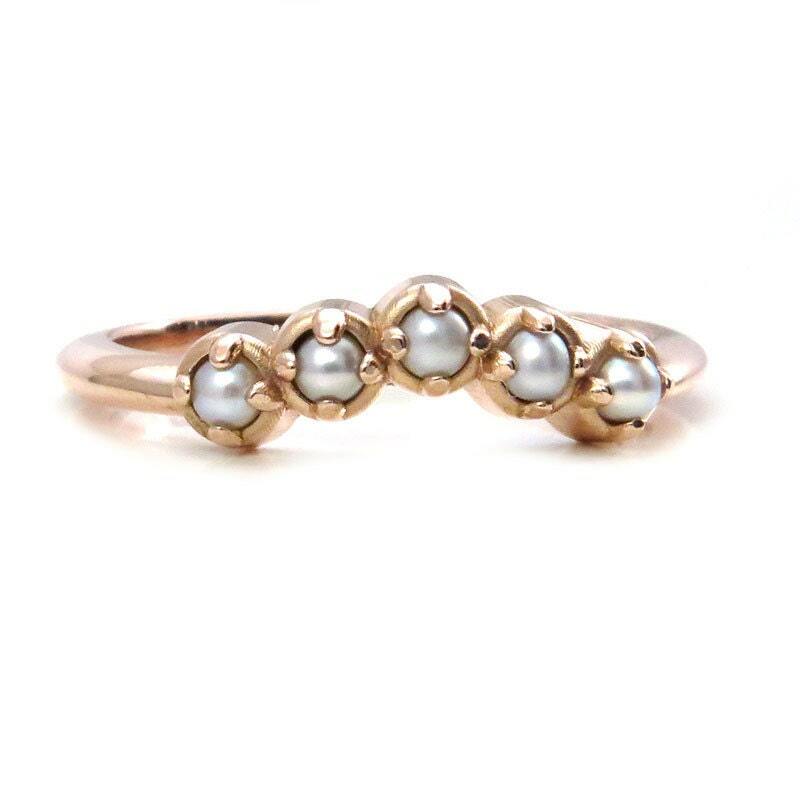 I have set 5 white freshwater seed pearls in a chevron shaped band. The pearls are about 2mm's each and they have a combined total weight of approx. .40 carats. 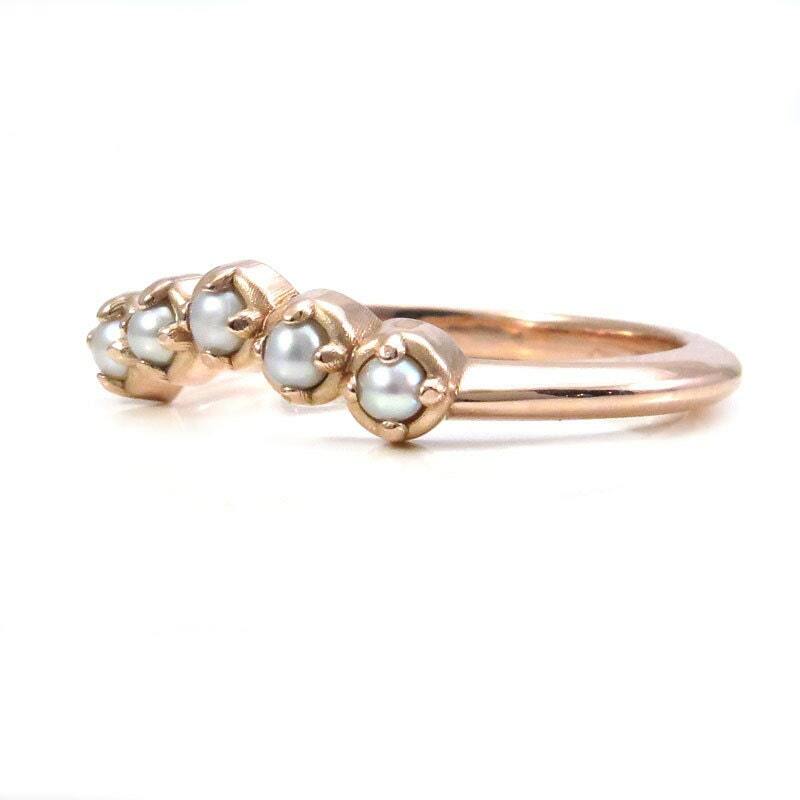 The ring is shown here in 14k rose gold but it can also be made in yellow or palladium white gold. We do not plate any of our metals. 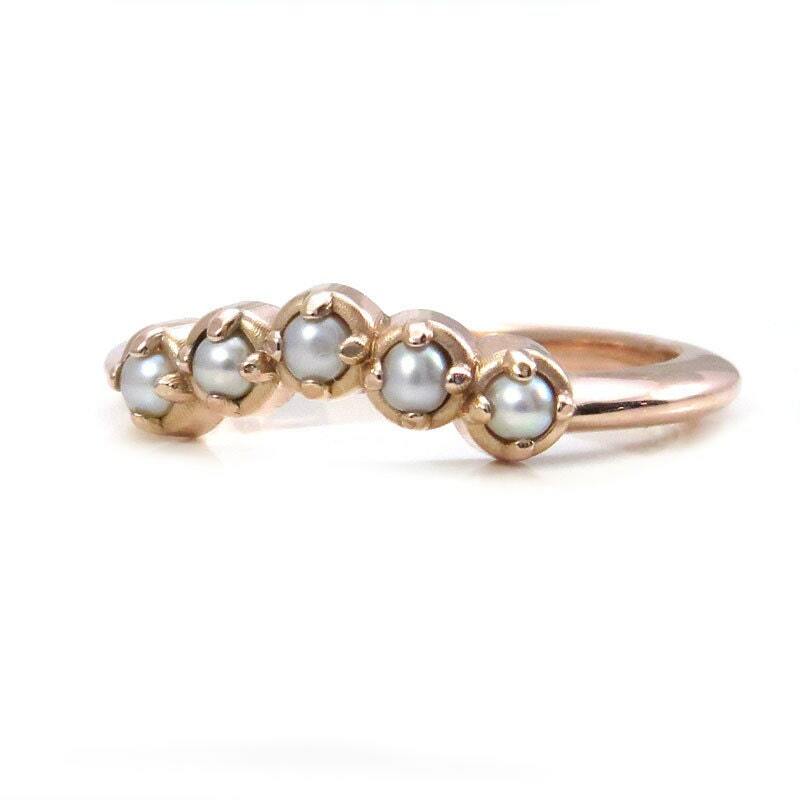 The pearl portion is 3.8mm's wide and the band is 2mm's wide. 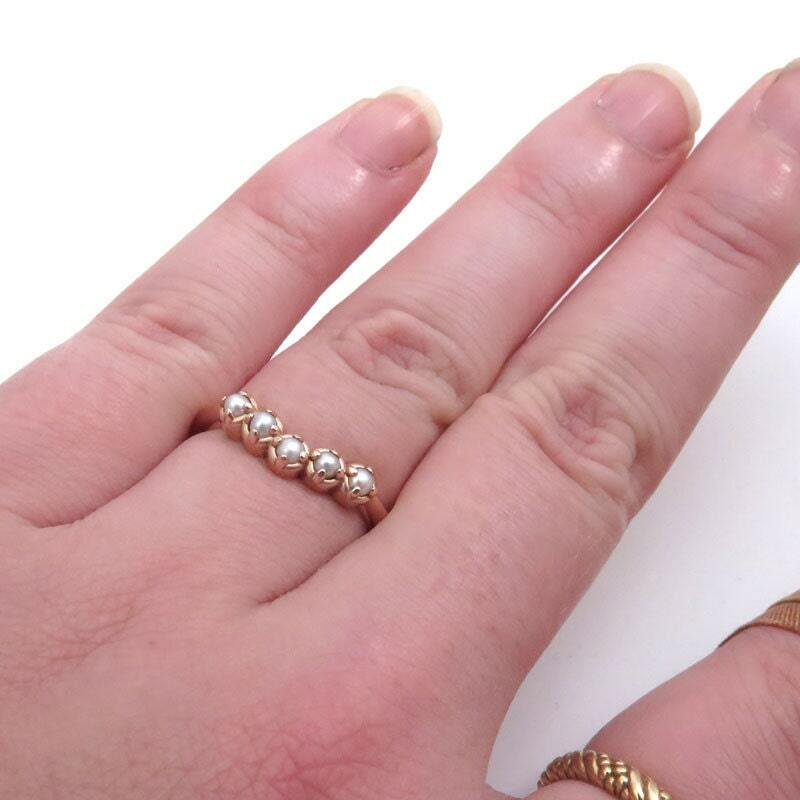 This ring will be made to order in your size and metal choice, our turn around time is 4 weeks. 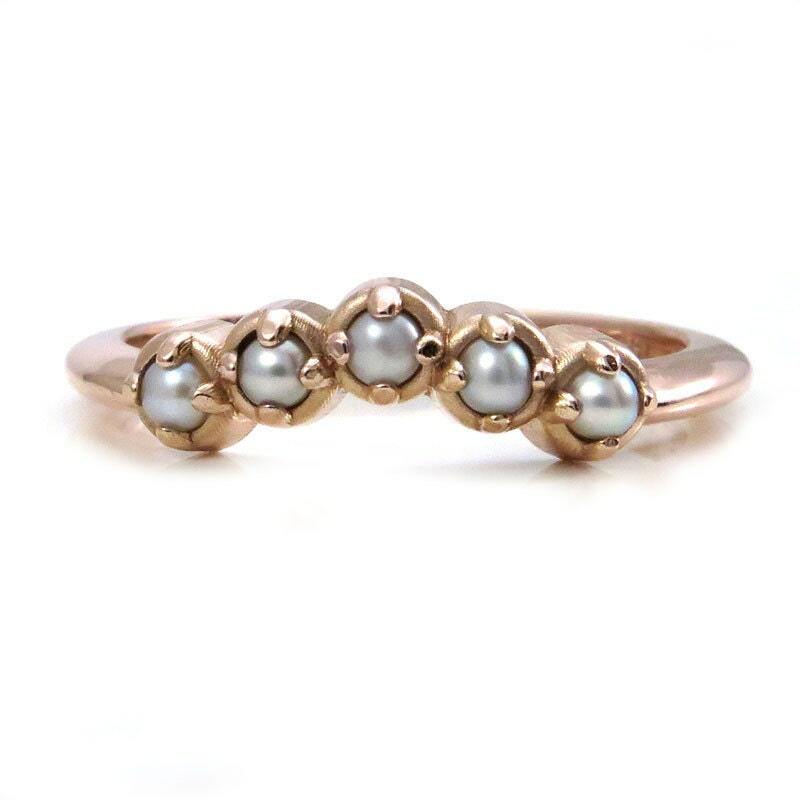 We use only recycled metals and conflict free stones. Welcome to the SwankMetalsmithing, We are a family owned and operated business based out of downtown Portland, OR. I, Chelsea, work with my dad, Gary Swank, he started his business in 1973! I, Chelsea, have been a jeweler since 2010. Our store front in Portland, OR is called Gary Swank Jewelers. My mom also works here part time, her name is Karen. We are focused on creating really interesting and unique pieces of jewelry that are heirloom quality. You are welcome to come check out our shop, we are open 10:30-5:30 PST Wednesday thru Saturday. Want to see sneak peeks of our newest stuff as well as process photos? So delightful and fits perfectly over my cushion cut bezel set engagement ring!